Move in ready! Sellers are original owners and property has never been used as a rental and it shows. This gorgeous home features 4 bedrooms, 2.5 bathrooms, an extra large attached garage with new garage door, grass side-yard, outdoor shower, 3 decks, large ground level bonus room with powder room and new sliding door which can be used as a TV room, game room or bar.The interior features an inviting foyer on the first floor with a full bath, laundry room, and 3 bedrooms, one has deck off front of house. Second floor offers a large living room with cozy fireplace, vaulted ceilings, powder room, kitchen and dining room. There is a front deck off this level with beautiful sunset views. 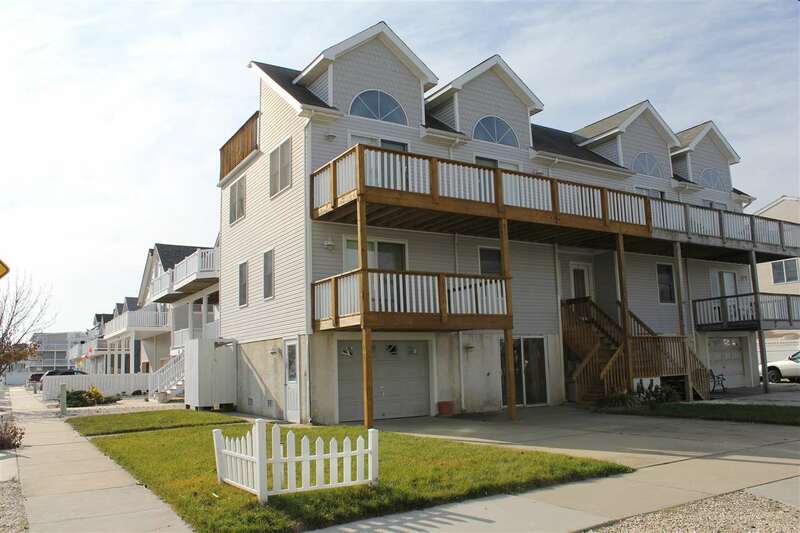 The third floor features private master suite w/private bath with Jacuzzi tub and private deck.Great location with direct access to shopping, restaurants and nightlife, recreational fields and facilities, uncrowded life guarded beaches, and only a short walk to the center of town in Sea Isle or Townsends Inlet. Freshly Painted, New Carpets, 4bd/2.5ba. Brand new range and refrigerator. Dishwasher & washer/dryer replaced in 2016. Resurfaced and sealed decks. Property is being sold completely furnished and is turnkey.